Tea is a special part of most people’s life. The bed tea, the sad tea, the happy tea, the tea with guests, the evening tea, the no occasion tea, the headache-curing tea. 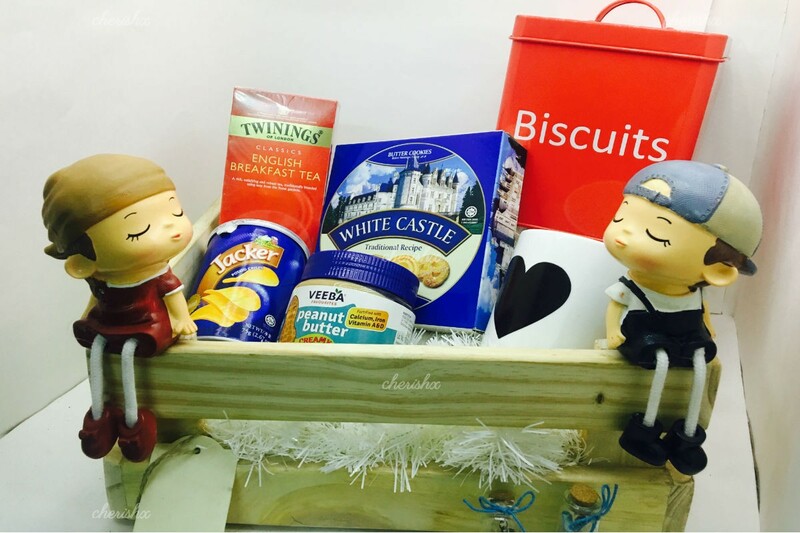 If you love tea as much or know a tea lover nothing could be more perfect then this special tea crate for them. 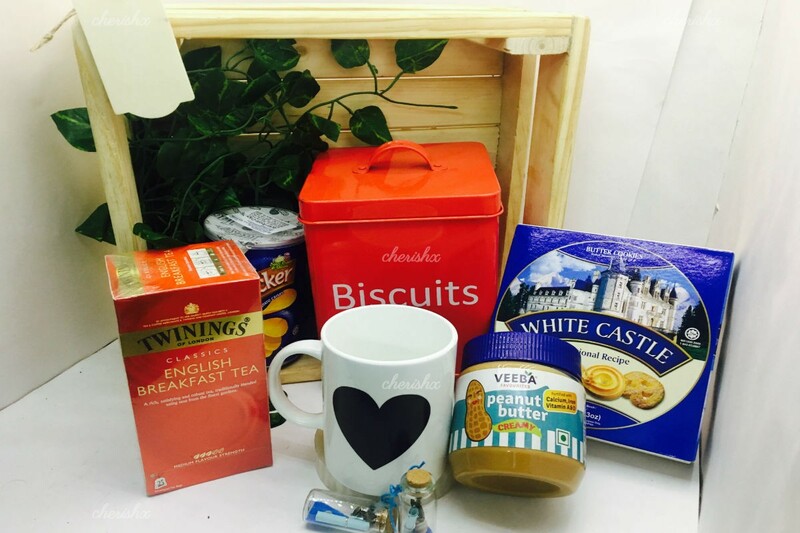 This crate includes twinings english breakfast tea with 50 tea bags, a beautiful tea mug, a cookie jar to put tasty cookies in, a cookie box and peanut jar to enjoy with your tea and potato wafers. 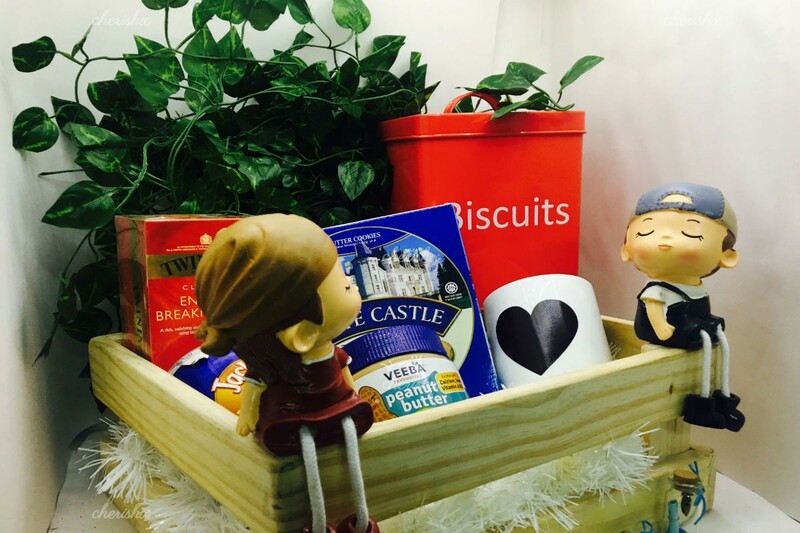 You can select a time from the given and the crate will be delivered to your loved one in between your selected time slot. 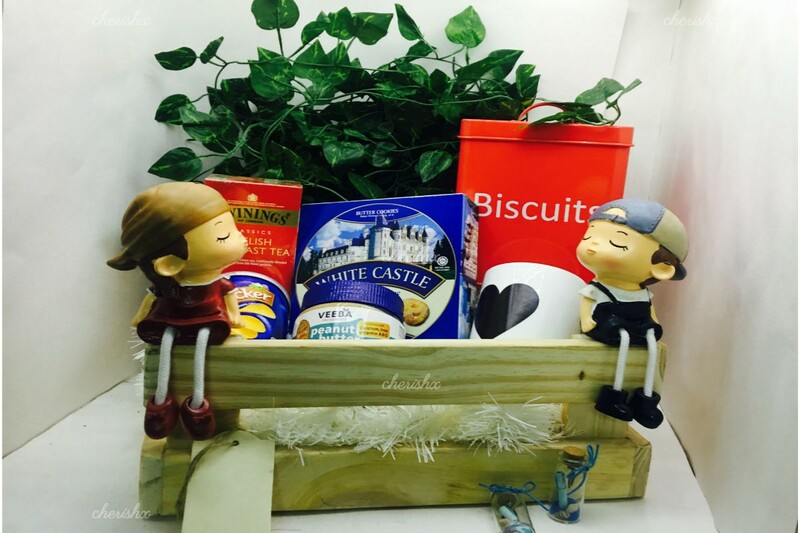 Everything in this package will be well packed in an elegant wooden crate. All the products are of premium quality and will be cherished by your loved one for lifetime. Let us make all the effort for you and you can reap the benefits.